Look, we're glad that America's George beat Britain's George during the Revolutionary War. But we're a little broken up about missing out on the chance to live in a glorious castle (assuming, of course, that we've got the aristocratic roots to make it happen). Here's the good news: Medieval feudalism and monarchy might have faded out of significance in most places, but all those castles are still around. Here are 10 you can spend the night in — noble bloodline or not. Amberley Castle has stood over West Sussex since 1103 C.E. 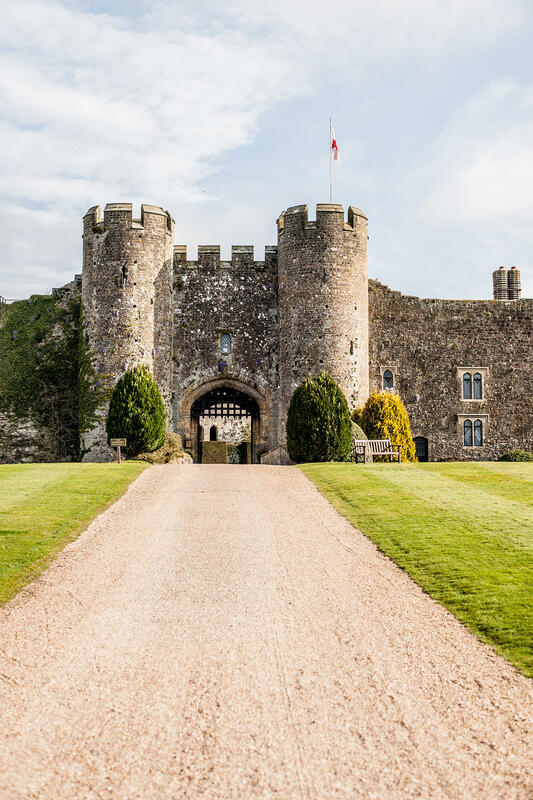 Although the structure has gone through many major overhauls (the demolitions not always being carried out by the renovators), Amberley Castle's most recent rebuild came in the 1660s after the English Civil War. Though it's been through some changes and modernization, this is a bonafide medieval castle. You'll drive through a genuine porticullis on your way to your room and pass medieval suits of armor on the stairways. Hôtel de la Cité has the distinction of being the only hotel built in a UNESCO World Heritage site. Carcasonne is one of the oldest existing fortified cities in Europe — a walled Roman settlement called Julia Carcasum was built here around 100 B.C.E. This is no mere fortress. It's got a modern population of about 50,000, and the newest of the city's thick stone walls date back to the mid-1600s. Ruthin in Wales is another castle of the British Isles that had to bounce back after a siege during the Civil War. Unlike Amberley, however, it took a century or so to do it. Beside the ruins of the old castle that Oliver Cromwell tore down, the Myddleton family built out the old castle mansion in 1826. In 1923, the castle became a respected international medical clinic. Its latest stage of life as a hotel began in the 1960s. Still, though the building itself is much newer, Ruthin Castle sets itself apart with medieval feasts at least once a month. Parador de Alarcón at the castle of Alarcón is the much the same as it was when it was built 1,300 years ago by the Caliphate of Córdoba. The castle stands on a rocky outcropping over the Júcar River, overlooking a charming Spanish village. The walls of the hotel are thick, but the castle's best defense was its location: the towering position and the natural moat were enough to keep most attackers at bay. Inside the walls, guests will find works by many of the great modern artists of medieval Spain, including Tapies, Alvaro Delgado, and Menchu Gal. Unlike many of the other castles on this list, La Mamounia was built in recent years for leisure-seeking royals. It's all built around the luxurious, sweet-scented Mamounia Gardens, built more than 100 years ago as a wedding present for Prince al Mamoun by his father. It's situated right in the heart of Marrakech, a colorful oasis city that dates back to the 12th century C.E. Taj Lake Palace was also built to prioritize pleasure over defensibility — although good luck to any invading army trying to march across a lake. This stunning white-and-gold palace was built on Lake Pichola between the years of 1743 and 1746. It was commissioned by Maharana Jagat Singh II, ruler of the former princedom of Mewar. Today, the hotel can only be accessed by ferry, and historians on staff can regale guests with tales of prominent visitors of centuries past. Czocha Castle looks like something out of Harry Potter — and non-trademark-infringing wizarding fans have noticed. Whether you opt to head to the castle during the annual wand-waving event or during the magical off-season, you'll be transported to a 13th-century fortress complete with mead tastings, a wild countryside, and of course, a dungeon and torture chamber. Built by Austrian dukes in the 13th century, Castel Pergine passed into private ownership at the dawn of the 20th. Located in the north of Italy near the Swiss-Austrian border, this Alpine castle is notable for its gorgeous throne room and its chapel to Sant'Andrea. It's been hosting notable guests for its entire life — besides being home to dukes, princes, and emperors, the castle famously once hosted medieval painter Albrecht Dürer in the 1500s. The Crailsheim family has owned Schloss Sommersdorf since 1550 and have been stewards of the castle through the 30 Years War and the reign of the (allegedly) mad King Ludwig II. But it isn't just the fact that you can meet the modern Baron and Baroness von Crailsheim during your stay. It's the fact that you can meet their ancestors — or at least their ancestors' mummies — as well. Long-dead nobility aside, the castle makes an ideal jumping off point for exploring the best of the German countryside from its location in the heart of Bavaria. Next time you visit Edinburgh, consider booking a room at Dalhousie Castle, especially if you've got gory tastes. The history of the castle is deliciously dark, from the "bottle dungeon" (a windowless cell accessible only by a hole in the ceiling) to the many battles fought over and from the castle by the war-fated Ramsay clan. 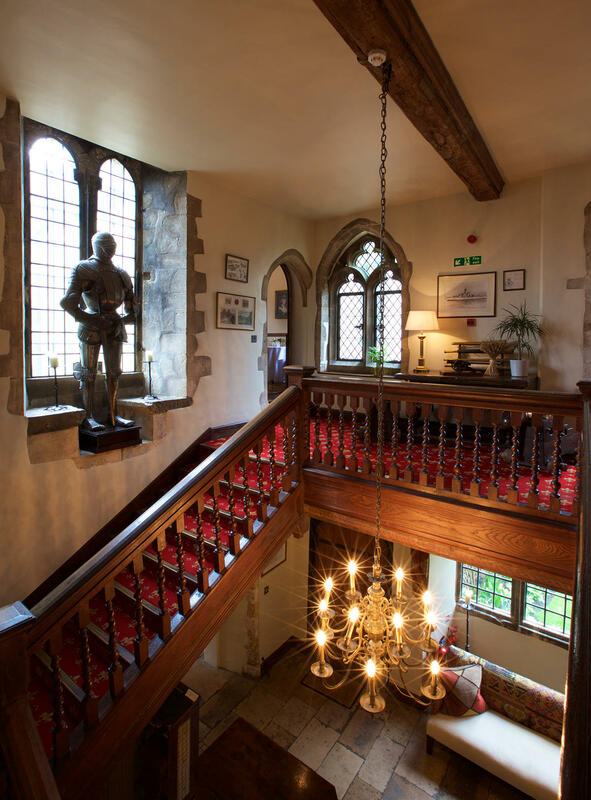 During your stay, you can get an up-close experience with falconry, try your hand at archery, or just head down to the dungeons — don't worry, they've been converted to a gourmet restaurant. Stephen Biesty's "Cross-Sections" books immediately immerse a child in a place they've never seen, and that's especially true for "Cross-section Castle." We handpick reading recommendations we think you may like. If you choose to make a purchase through that link, Curiosity will get a share of the sale.